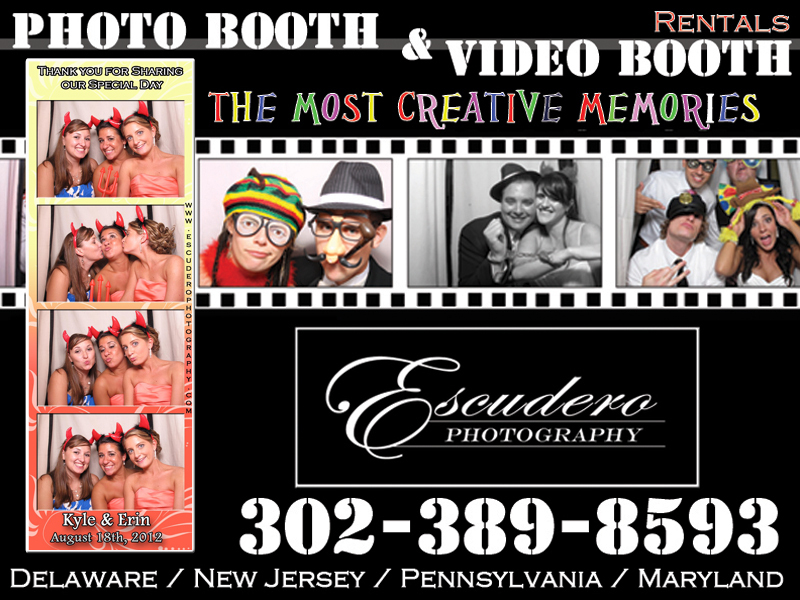 Kyle and Erin rented a photo booth for their wedding reception at the Waterfall Banquet Center in Claymont, Delaware. 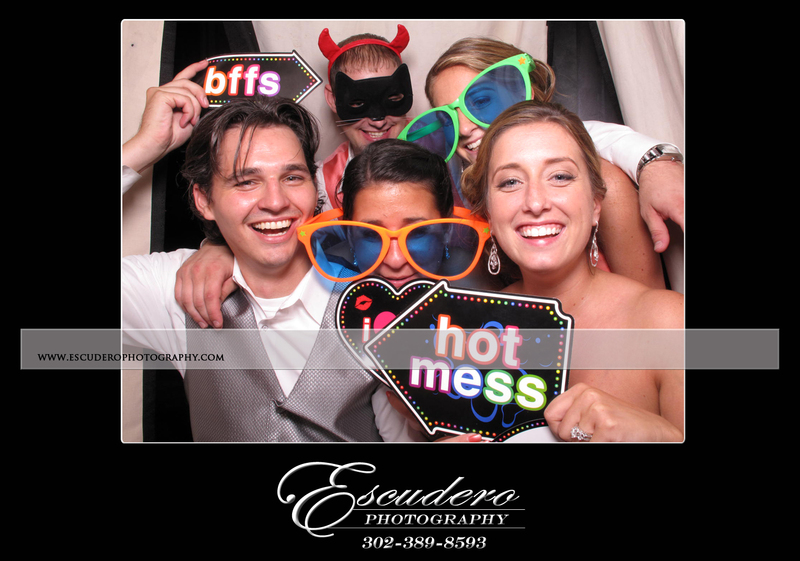 The guests enjoyed getting in the booth and taking pictures with the props provided. 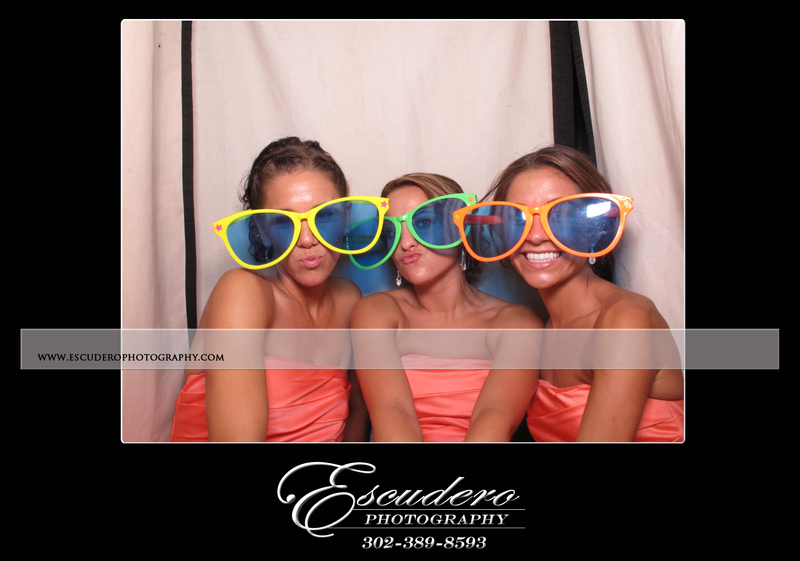 Escudero Photography provides two photo booth attendants, a bench, props, a scrapbook, and a digital storage device of the pictures for every photo booth rental. Our studio is located in Clayton, Delaware. We are in Kent County, which puts us in the center of the state of Delaware and less than two hours away from many popular wedding locations in Delmarva. We are an hour away from the Delaware Beaches such as Rehob oth Beach, Lewes, and Dewey. Wilmington, Delaware is also within an hour from our studio. Philadelphia is only an hour and a half away. What’s so great about our location? Our included travel now includes up to 2 hours from our studio, which is good for your wedding or event’s budget as well! This entry was posted in Photo Booth and tagged delaware, delaware weddings, photo booth rental, wedding, wedding photographers, wedding vendors. Bookmark the permalink.